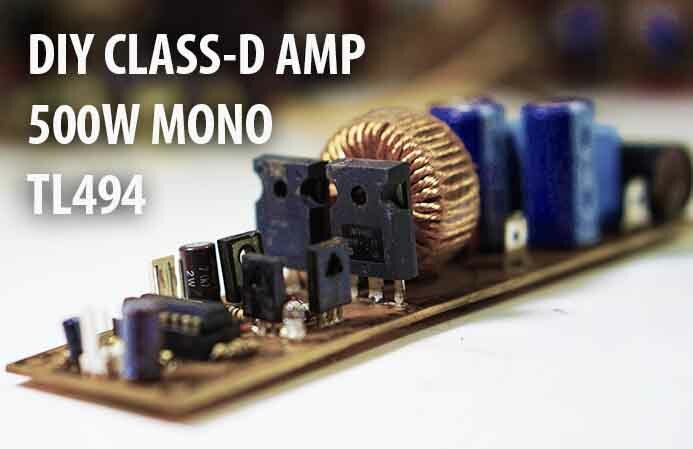 In this project, I will share about class-d power amplifier using TL494 IC for PWM, and use N-Channel MOSFET transistor as the final amplifier. This circuit is not so complicated and cheap to make practice making power amplifier class-d. This power amplifier circuit can be supplied with 30V to 100V DC asymmetric power supply using 8VDC bias voltage up to 12VDC. For the output power of this amplifier can generate power up to 500Watt, pretty good is not it? 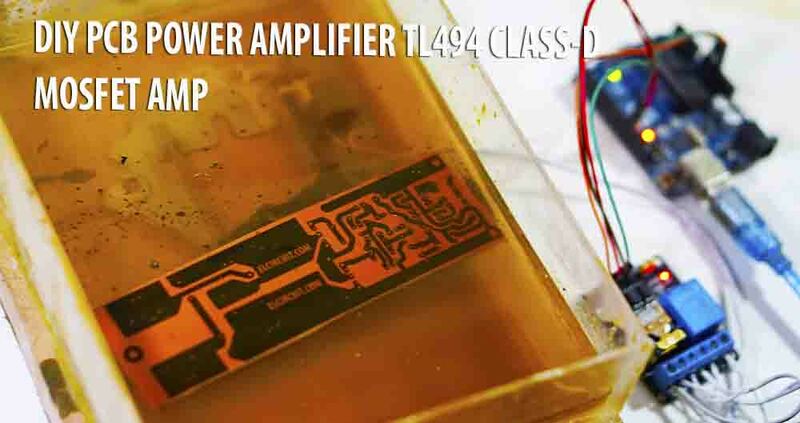 to make this power amplifier please see the circuit schematic of TL494 Power Amplifier below along with PCB Layout design that you can download in the form of .PDF format. In the picture above is when PCB I etching using Ferichloride and shake it into the container. For more details, I will update the video complete making this class-d power amplifier using TL494. can this be able to drive two 12" 420w RMS sony xplod bass ans two 12" 100w RMS cone speaker. This look amazing, what is the THD for this amp? Do not be deceive it does not work and is a scam. Please do class AB amplifier and live the scam yoy.wart your fund. Try Nelson pass circuit it has class A and class Ab they all work fine and the sound quality is of it best and you will be amazed. I do used Nelson pass misfits circuit in my active line array and far better than his 😂😂😂😂😂😂😂. hi what is the minimum impedance that this amplifier supports? Scam what, its working, see video. jika anda yang punya desain silahkan hubungi kontak us. 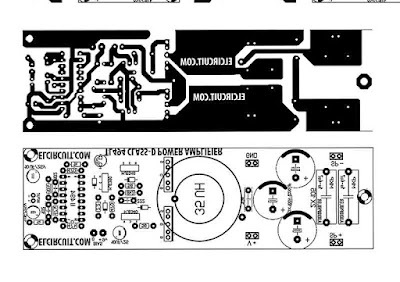 hi greetings excellent your amplifier ... how to build the coil L1 ??? ..... if I wanted to increase power, alone would have to increase voltage and change mosfet ??? tenho nucleo de 35mm AWG17!!! quantos giros??? 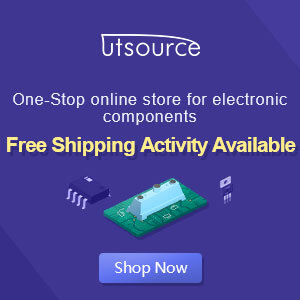 Can I use air coil inductor for L1 ? So, would you mind to tell me about diameter wire ? Om bikin l1 nya imana om? Beraa lilit dan berapa diameter kaeat sama kern nya..
Any boady can contact me on youtube. Pranatosh Tech channel. I will upload working pcb within 3 days. Eai amigo guilherme tudo blz!? Quero montar esse amp mas tenho pouco de receio, diz ai vc ja montou? Como foi tocou bem? Thanks pranatos what your youtube channel? Já mandei vários email,e não tenho resposta. Porque? from what the material made is a core L1 ? maby from atx power suply or not ? whats a model of core L1 ? Hello Rommadhon sir, I am upload this amp video. My channel name is Pranatosh Tech. buenos dias estimados amigos, primero deceo darles las gracias por el buen aporte, el amplificador suena mejor de lo esperado, (nota) a los que lo estan armando por primera vez el proyecto quiero decirle que tengan muy en cuenta el diodo 3 debe ser un uf 4004 con un tiempo de reaccion inversa de 35 ns o mas, en vez del 1n4148 que aparece en el diagrama. please sir tell me what is the number coil gauge please..and ferrite core size. This circuit have feedback or not?